We are in the last 24 hours of mayhem before the Bridal Expo, and we are doing all sorts of things…including the creation of several gift baskets for raffling off. 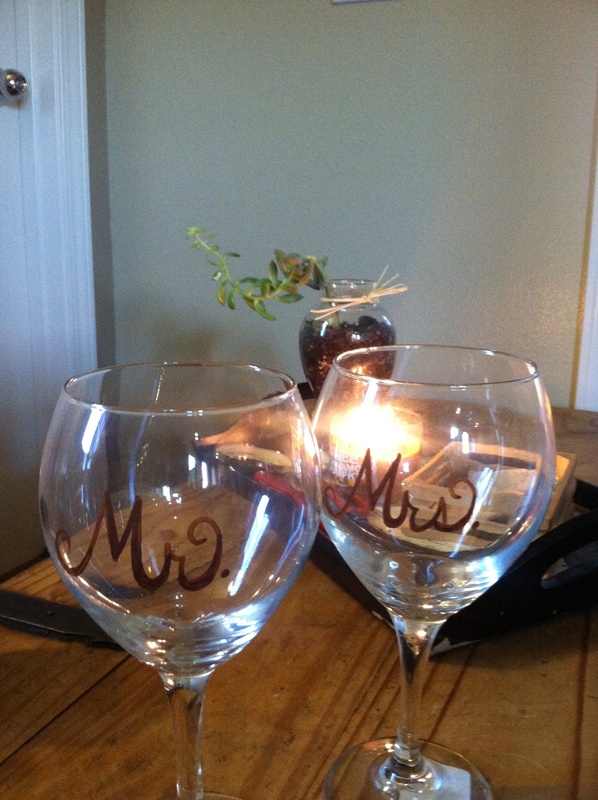 We are doing homemade cheesecakes displayed on our pretty pedestal platters, pedestals with brie and a jar of our Cranberry Merlot Compote, and a large vintage frame outfitted with chicken wire and clothes pins for a menu or table seating, along with a gift certificate for a custom ring bearers pillow. Phew, feelin’ like an elf right now, but look how cute these turned out. 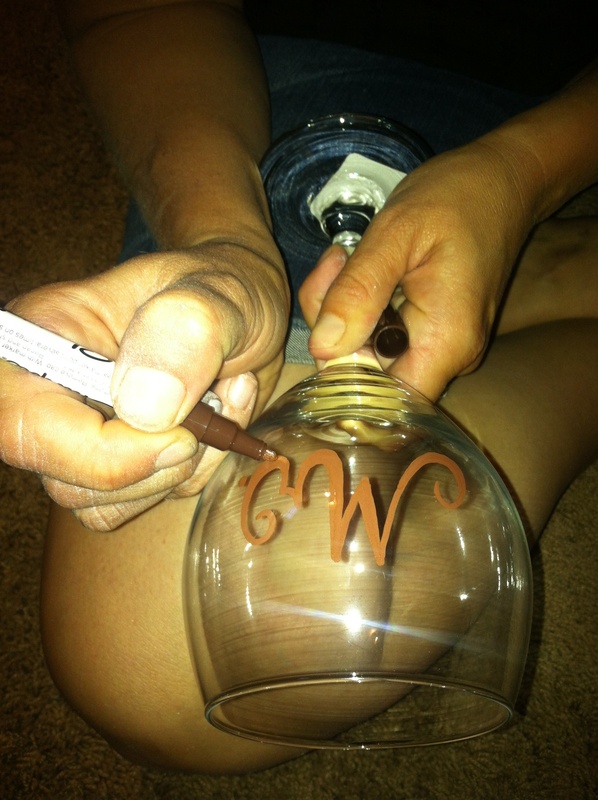 An oil pen by good old Sharpie worked beautifully for this project. If you have a steady hand, go ahead and free-hand your text. I think it turned out really sweet. 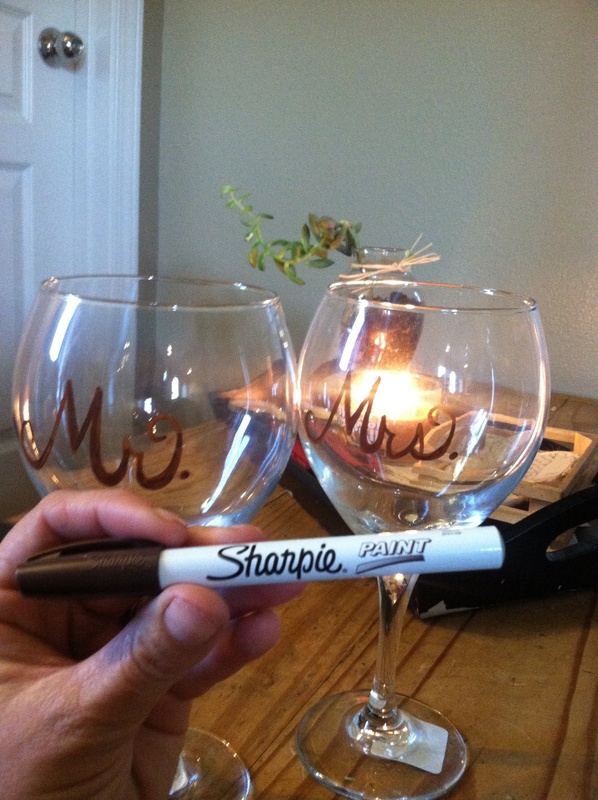 We did these as a simple Mr. and Mrs. set so that they will fit perfectly into our “Date Night” gift basket….replete with glasses, wine, The Wedding Planner movie, and of course, an amazing chocolate hook-up from Julianne (who reportedly works at Willie Wonka 😉 ). I love this…and, Bride’s, this would be an amazing way to add a personal touch to your special day…and it takes seconds (yay). Be on the look out for Expo blogs and videos, cuz it is going to be gorgeous!